When we moved here we inherited a sycamore tree on the corner of the back garden between us and our next door neighbours. 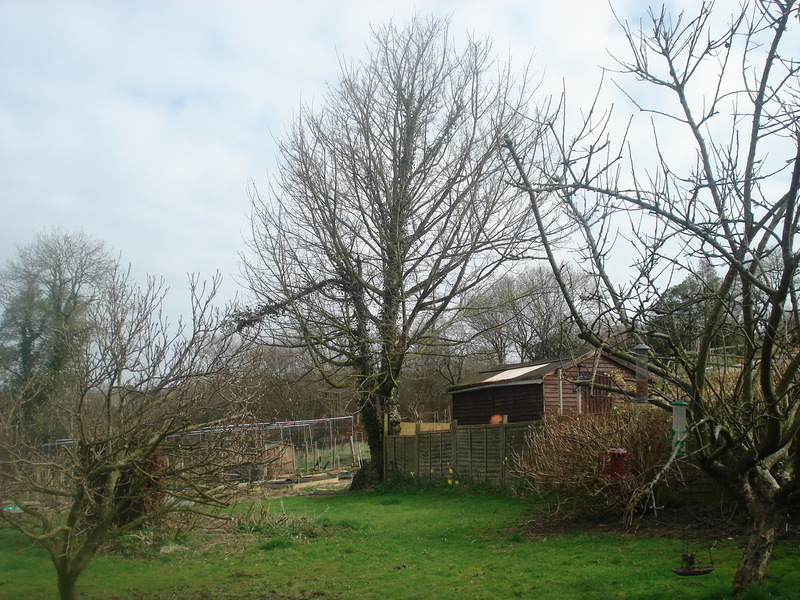 Neither of us were very keen on this tree as it overshadows the vegetable patch and leaves lots of little seedlings all over the place every year. So the decision was taken to cut it down. It had 3 trunks and here is a picture of what it looked like before we began cut it down. 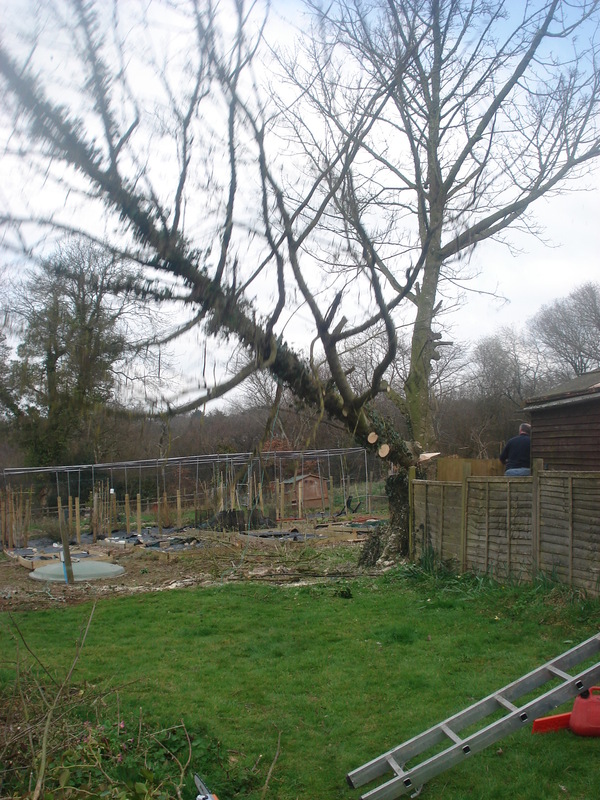 So Neil and our neighbour took down the first trunk, leading it to fall on our back lawn. Next they tied a strap around the 2nd trunk and Neil pulled whilst our neighbour put a strategic cut in one side, and then went round the other side to finish it off. Then, one, two, three, down it comes as Neil quickly runs out of the way……….. This process was repeated for the 3rd trunk until all we were left with was 3 tree stumps and lots of woods across our lawn. 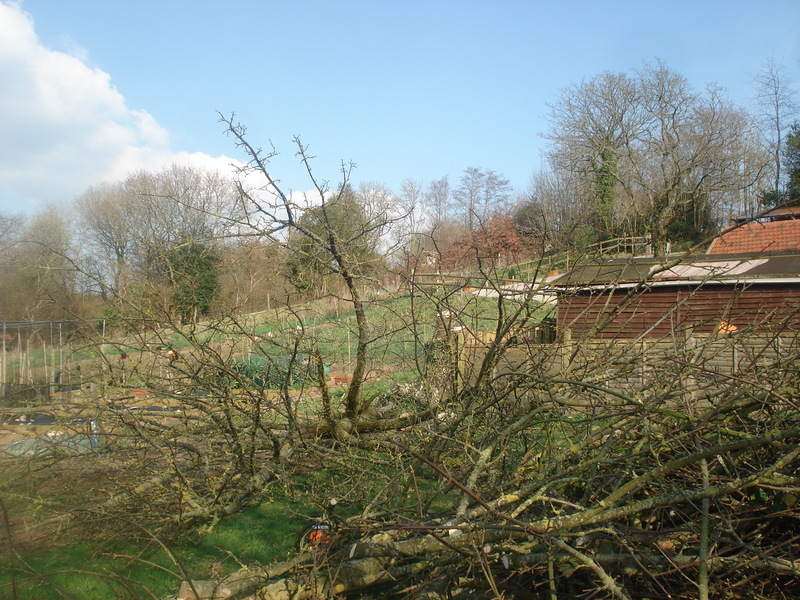 The big job is to clear all the branches. 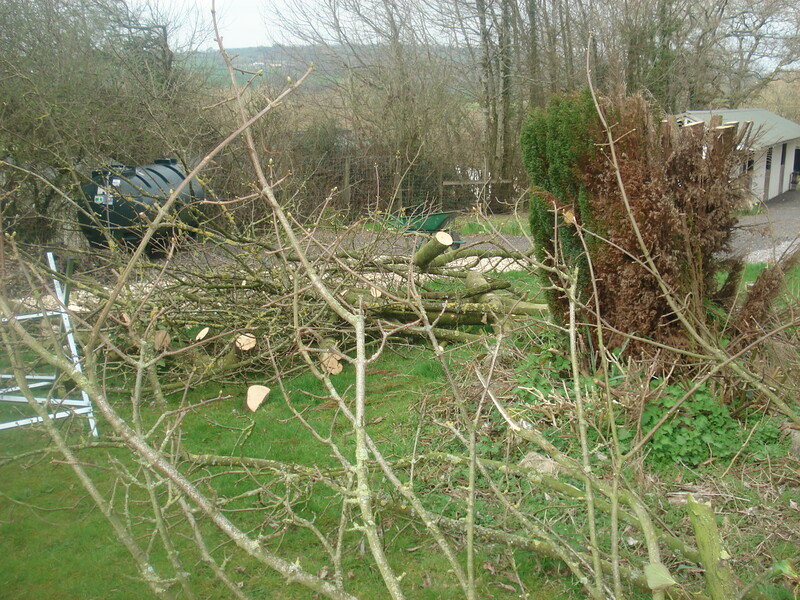 Neil has been chopping and I have been feeding small stuff through the chipper. 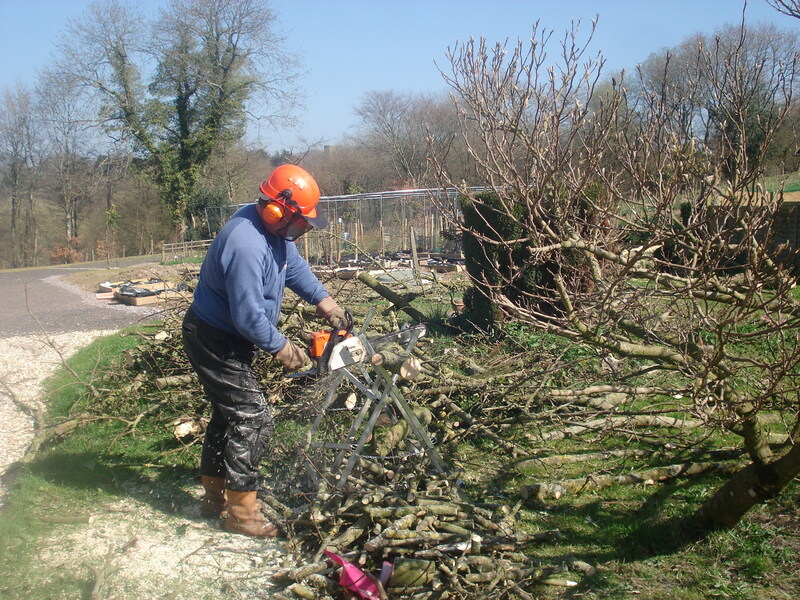 Wood that is big enough for the woodburner is being chopped and popped into the wood shed to dry out for next Winter. The smaller stuff we are bagging up which will make kindling to start the fires. Neil has been out there for 4 days now sawing away. 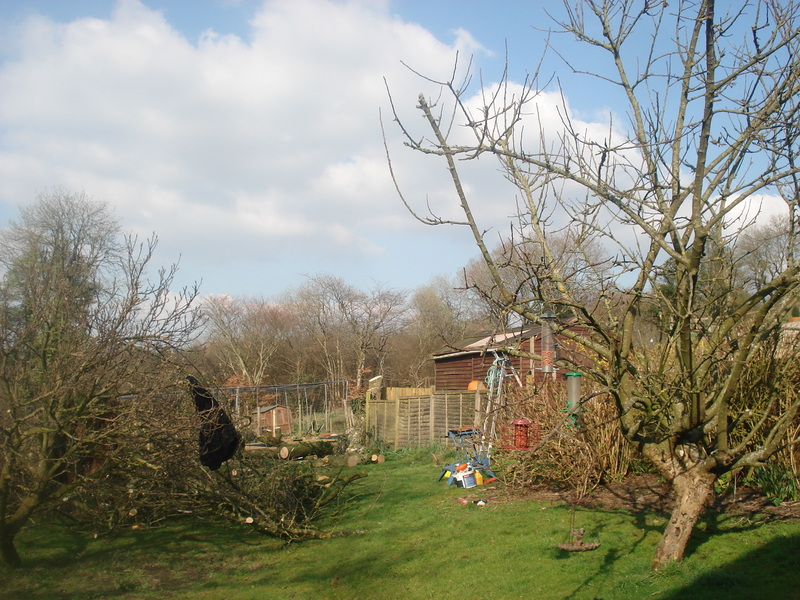 It’s a long job and we want to get it finished to we can clear the lawn which needs cutting now. So lots to do, keeping us both busy. We need to get sorted out as we have B&B guests for 4 days coming up at the weekend so we want the place looking neat and tidy by then. So I’d better get back to it! !